Unlike floors, homeowners barely pay attention to the ceilings, leaving them exactly the way they were when the dwelling was built. However, the rising trend of adorning ceilings with wood is now breaking this norm as it boosts the architectural interest in the room and lures the eyes upward to explore the space. 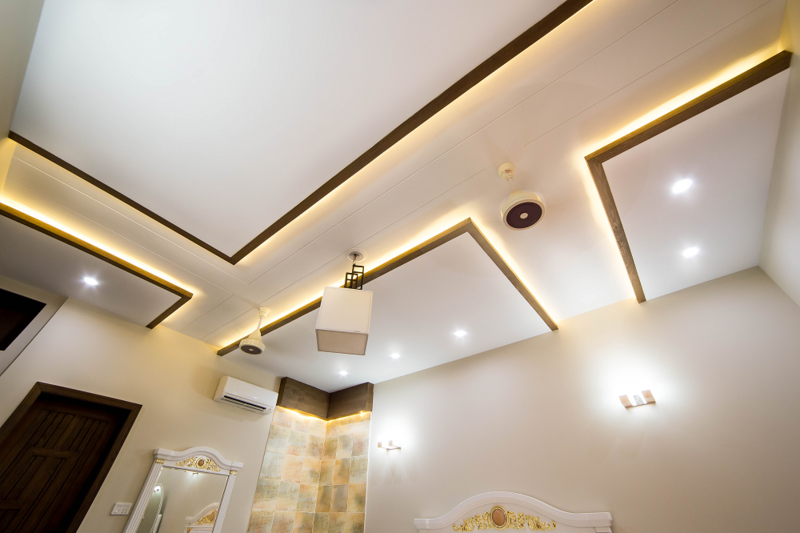 But the real charm of using wood on the ceiling is it’s not restricted to a single horizontal plane; they can be articulated at several elevations or can include sloped or vertical surfaces. Wood decking, trim, plank and siding on the room ceiling not only adds warmth and texture to space but also elevates the ornate elements to a new level. This unique interest is sure to stop and pause the visitors when they first notice the eye-catching design of your “5th wall”. Above all, ceilings are not walked, thus can maintain their decorative appearance for many years to come without any upkeep. 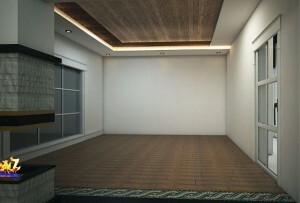 The wooden ceiling can be exotic, rustic, elegant traditional, modern or casual and it is one of the key elements that contributes to the overall setting and decor of a room. So it’s important to focus on all the elements to obtain a coherent and exquisite decor when using wood on the ceiling. Here are some chic wood ceiling design ideas by AmerAdnan Associates that will give you a clue how to use similar types of stain colors and wood. 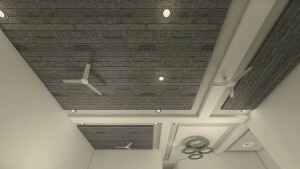 Our interior designer in Lahore has adorned this ceiling with planks of wood, overlaid to create a layered effect. The tonal variation allows the viewer to differentiate between the respective levels. Integrated on-site beams into the design, where the planks have been stained with a gray polish to match the floor. This bedroom ceiling is a variation with bamboo, solid wooden beams and planks that look extremely chic and appealing. 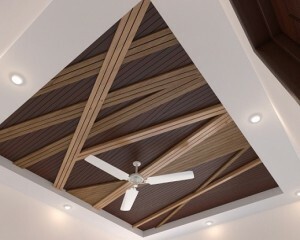 A great idea to emphasize the design of the ceiling. A paneled ceiling, with wooden inlay. 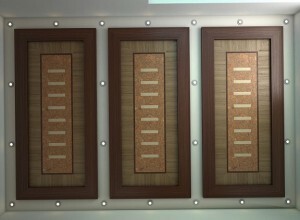 It’s more traditional than the rest and is an elegant option that can be used in a drawing room. We integrated wooden planks with rope light to give a chic touch to the interior. Isn’t this an exquisite design for your modern dwelling?